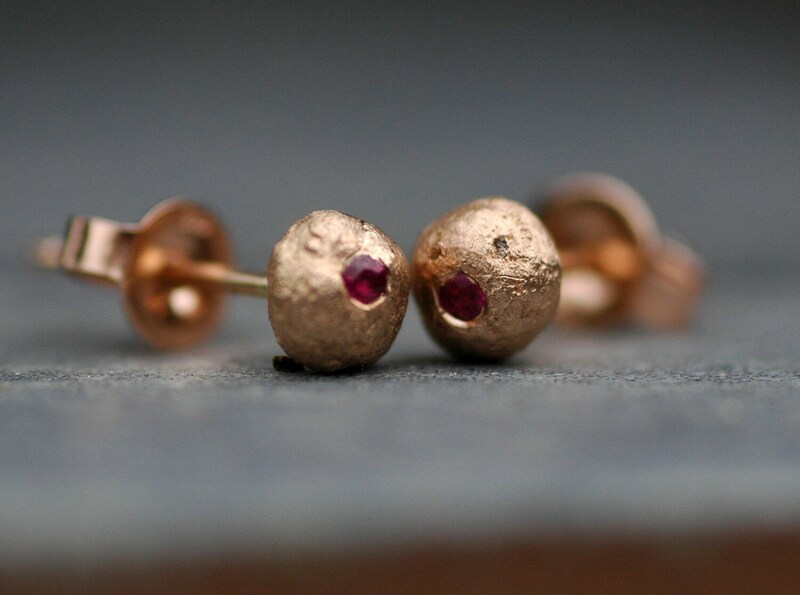 These earrings are solid, recycled 14k rose gold. The balls are created through a metalworking technique called granulation- the metal is heated to molten, and then balls up on itself. The resulting texture is organic and unpredictable. All of my gold is recycled. 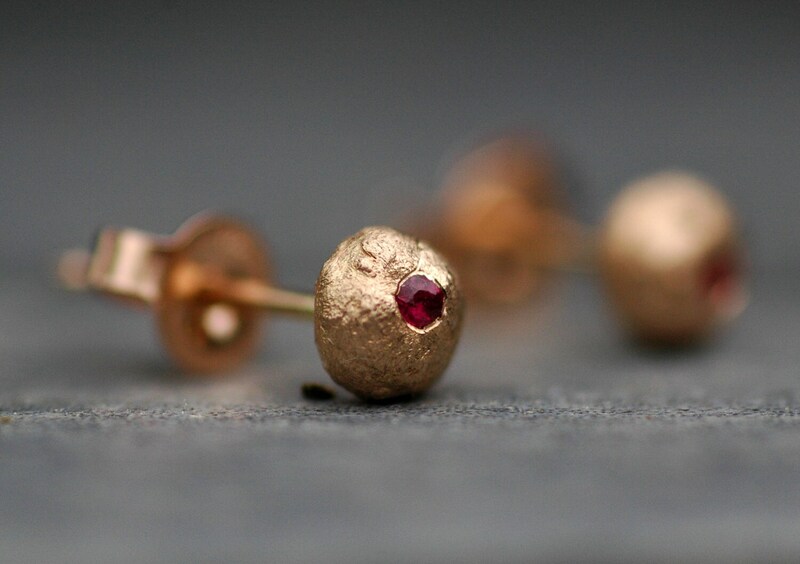 Into each little orb, I have flush set a tiny pink/red ruby. 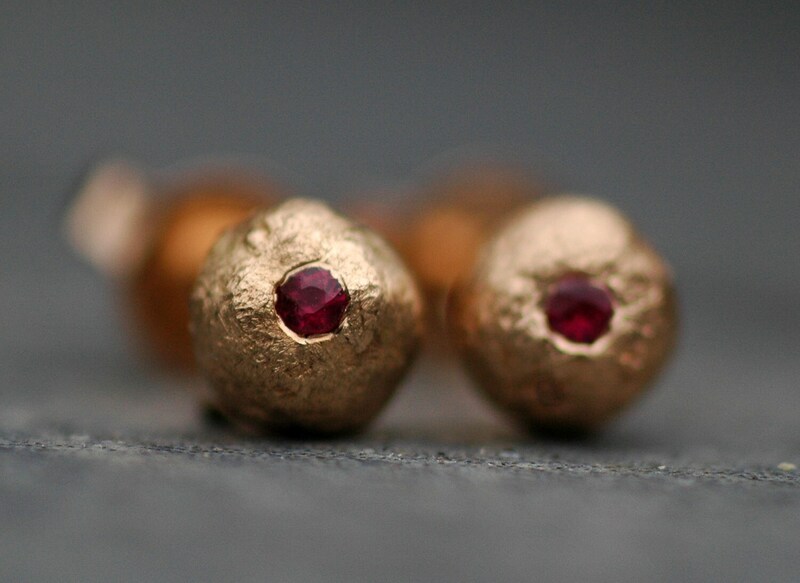 The earrings are around 5mm across. Ask if your desired gemstone is not mentioned here. 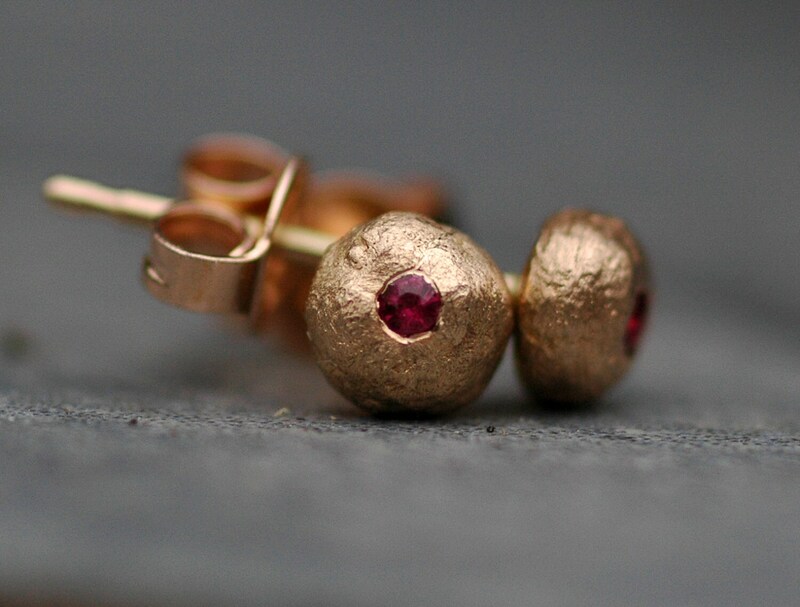 I can also make these earrings in larger sizes- please get in touch for a custom listing.